Welcome to the Towns-Union Master Gardeners webpage. Organized in March 2010, we currently have 49 members and some friends who have not taken the Master Gardener Course but like to help with our projects. Our purpose is to advance unbiased horticultural education of our members and the community by promoting the knowledge, interest, appreciation and enjoyment of gardening through meetings, projects and activities in Towns and Union Counties. We are an affiliate of the Georgia Master Gardener Volunteer Program of the University of Georgia Cooperative Extension service. We meet on the Second Thursday of each month @ 4:00 pm for fellowship and the meeting starts promptly at 4:30 pm in the Fellowship Hall at Sharp United Methodist Church, in Young Harris, Ga. Consider becoming a member by applying to the Master Gardener Certification Program. For more information, please contact Jacob Williams at Jacob.Williams@uga.edu or Phone: 706-439-6030 or Fax: 706-439-6036. 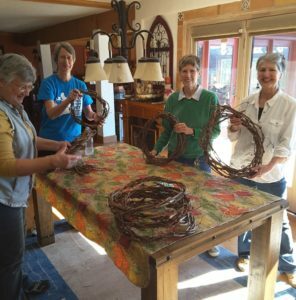 The grapevines were donated by Crane Creek Vineyards, and were woven ahead of the class by TUMGA Members at a previous workshop. Freya Browning (GMREC) and Donna Cates provided all the instruction and the goodies that were applied to each creation. It was really amazing how different each wreath was considering that we all had access to the same materials. 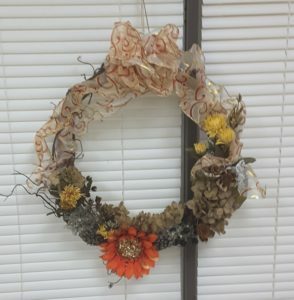 Many people donated their wreaths to be sold at the farmers market when it opens in the spring, some took theirs home for decorations or presents. Elaine Bliss donated hers, shown, for Brenda Hull, our presenter at the February meeting. We will be having a follow-up class for several people that were unable to make it, and to complete the leftover wreaths for fundraising. Lots of fun had by all, including some very sensitive fingers from the hot glue! The following information is being updated. Thank you for your patience. In 2010 the original 9 Master Gardeners formed a group to serve Towns and Union counties We now have 49 Master Gardeners who volunteered 4,948 hours in 2015, valued at $114,180 by the University of Georgia. When the current class completes in April, we will have 53 volunteers. We manage over 40 projects in the community; including a 4H Garden Club, planting and weeding the Hiawassee Square and Towns County Courthouse. In the spring we will start our “Ask-a-Master Gardener” booth at the TC Farmer’s Market and the Fairgrounds. 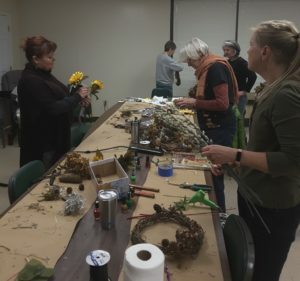 Master Gardeners go through 40 hours of intense training in order to help the Extension office by educating residents on safe and effective gardening practices. To learn more about the program or to reach a Master Gardener with your questions, contact the Towns County Extension Office at 706-896-2024. You can also visit our website at www.perennialpals.com. (back) Timothy Jennings, County Ext. Coordinator; Master Gardeners – Dan Greenfield, Patti Bransford, Judy Caines, Grace Howard, Ellen Luckenbach, Sheleila O’Neal, Montana Stickler, and Marsha Elliott. March 17, 2016 at the Union County Commission meeting, Union County Commissioner, Lamar Paris, signs proclamation acknowledging March 19, 2016, as Master Gardener Appreciation Day. This is the day the State of Georgia officially recognizes Master Gardener Extension Volunteers for their continuous support and commitment to the gardening public. In 1979, the Georgia Master Gardener program was established by the University of Georgia Extension Service to train volunteers to expand the outreach of the County Agents. Master Gardeners provide unbiased, research-based educational assistance, programs, and volunteer community projects related to consumer horticulture. This last year was an exceptional year for the Towns and Union Master Gardener Association, locally known as TUMGA. In 2015, MGEV members contributed over 4948 hours, valued at $114,180 by the University of Georgia (based on UGA’s evaluation rate of $23.07/hr). This dollar amount represents savings to Towns and Union Counties if their work were to be performed by paid staff. 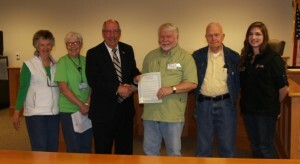 Master Gardener Volunteers began serving Union County in April of 2010 with nine members. When the current training class completes its studies in April this year, a total of 53 volunteers will commit to working together on more than 40 projects between Towns and Union Counties. Look for your Master Gardener Extension Volunteers (MGEVs) at the Union County and Towns County Farmers Markets as they host the “Ask a Master Gardener Booth” every Saturday throughout the summer. In Union County, check out the Gold Medal Garden and Nell’s Dahlia Garden at the entrance, both of which are supported by MGEVs. The Children’s Daffodil Garden at Meeks Park, the gardens at the Hiawassee Square, the Pioneer Cabin at the Georgia Mountain Fairgrounds and the Union County Farmers Market Flower Show are only some of the gardening projects TUMGA undertakes. MGEVs have installed and maintain numerous blue bird houses at the Union County Courthouse, Meeks Park, and other locations. MGEVs also participate at the Georgia Mountain Research and Education Center (GMREC), which provides education-based horticultural activities for North Georgia and neighboring North Carolina. Master Gardener Extension Volunteers are a committed group of men and women who are making a difference in our community. Not only do they volunteer their time, but also they provide their own tools, transportation and other necessary resources. 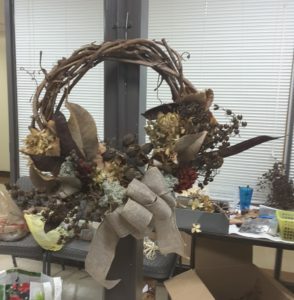 Master Gardeners go through 40 hours of intense training in order to help the Extension Office by educating residents on safe and effective gardening practices. To learn more about the program or to reach a Master Gardener with your questions, contact the Union County Extension Office at 706-439-6030 or visit the TUMGA website at www.perennialpals.com. Jo Anne Allen was raised in Plains, Georgia and lived in Warner Robins, Georgia before moving to Atlanta in 1984. She graduated from Kennesaw State University with a BBA Degree, majoring in Business with a minor in Marketing. She also earned an Associate’s Degree in Horticulture from Gwinnett Technical College. Jo Anne completed Master Gardener training in 1992, was certified in April of 1993 and have been active in the Master Gardener Extension Volunteer Program for over 22 years. Jo Anne’s Horticulture experience includes: Atlanta Botanical Gardens, Gwinnett Technical College greenhouses, Perimeter College greenhouses and was a business partner and co-owner of Gardenscapes, a landscape design and installation business in Atlanta from 1998 to 2001. 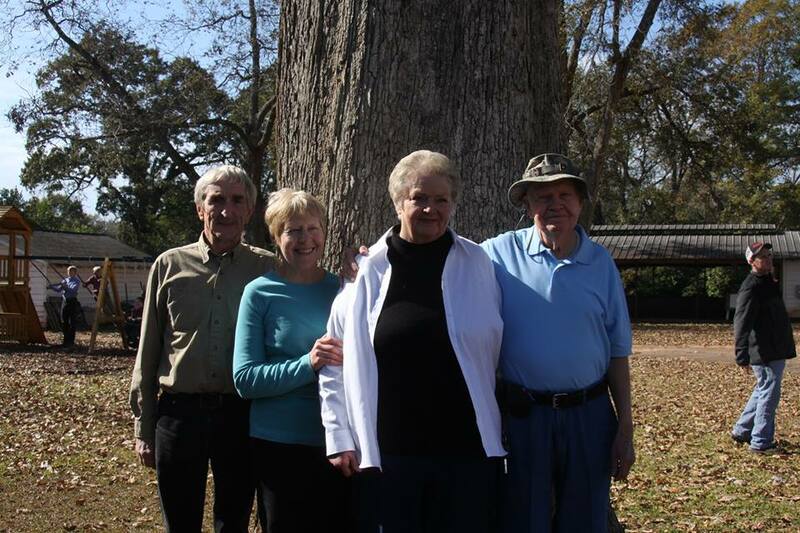 Tom and Jo Anne moved to Blairsville in 2001 and opened Bunker Hill Nursery (2001-2006). Jo Anne joined the Blairsville Garden Club and also the North Georgia Master Gardeners in Fannin County because there was not an active, organized group of Master Gardeners in Union County. Jo Anne was president of the North Georgia Master Gardeners, 2008-2010. Judy Caines was raised in Coral Gables, Florida and moved to Atlanta in 1970. She graduated from Georgia Tech with a BSIM degree, majoring in labor relations and a minor in accounting. She retired from AT&T in 2006 and Gary and Judy moved to Hiawassee fulltime. She was very interested in native plants on their property and wanted to learn more. When Gary showed her an article in the local paper on a Master Garden program, she was “hooked.” She completed her MG program in April 2009. Jo Anne and Judy got to know each other when Judy started driving to the North Georgia Master Gardener meetings in Blue Ridge. Judy mentioned this was a long way for them to drive to talk about projects in our communities and things moved from there. In February 2010, Patti Bransford and Judy Caines came to the North Georgia Master Gardener meeting and requested that the North Georgia Master Gardeners meet every other meeting in Blairsville so that Union and Towns County Master Gardeners could participate without such a long commute. This idea was rejected so Judy and Jo Anne talked about creating a local Master Gardener group, combining the two counties, Union and Towns, so we could propose and manage projects in our communities. They met with Mickey Cummings and Robert Brewer to discuss this idea to see if they would be supportive. They were and helped us launch the Towns Union Master Gardener Association, March 18, 2010. Officers volunteered for a two year term: Judy Caines and Jo Anne Allen, Co-Presidents, Patti Bransford, Vice-President, Lynn Bonner, Secretary, Marcia Little, Treasurer. After the two year term was complete our group was still small so the group decided (voted) to keep the same individuals as officers. Sometime after this Lynn Bonner left the group and Grace Howard took on the responsibility of Recording Secretary and we added a Corresponding Secretary, Annette Hopgood. In June 2014, Rise Lockwood became Recording Secretary and Sally Bolen Treasurer, other officers remained the same. In November 2014, Rise Lockwood and Sally Bolen decided they were not going to be officers anymore so Leonora Osterman became Treasurer and because no one wanted to be Recording Secretary, Judy Caines and I took on that responsibility. 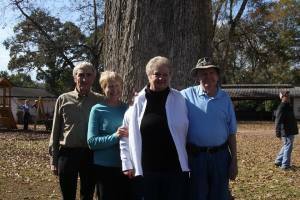 Officers elected in June 2015: Dan Greenfield President, Pat Smith Vice-President, Marsha Elliott Recording Secretary, Ellen Luckenbach Corresponding Secretary and Sally Bolen Treasurer. Sheri Dorn became the State Master Gardener Coordinator in 2012 and contacted Judy Caines and Jo Anne Allen to schedule a visit to our counties to see how our Master Gardener Programs worked without a full time Extension Agent to manage the Master Gardener Program. Judy and Jo Anne took Sheri on a tour of the GMREC preservation gardens and the Gold Medal Garden, while discussing our group and other projects. She subsequently invited Judy and Jo Anne to participate in a new Master Gardener Advisory Committee she was forming. They participated in this group for two years and helped write the Master Gardener Extension Volunteer Policies and Procedures Manual in place today. Judy and Jo Anne both made some great connections with Master Gardener Extension Volunteer and UGA Extension personnel. Saturday, March 19th, 2016 will be “Master Gardener Appreciation Day” in Union County. Pictures will be added after the Commission Meeting in March. 40 Master Gardener Extension Volunteers in Union & Towns Counties donated 4,948 hours in 2015 valued at $114,180 by the University of Georgia (based on UGA’s rate of $23.07/hr). Our group started in April 2010 with 9 members and, when our current class finishes (in April 2016) …will have 53 volunteers who work together on over 40 projects. Timothy Jennings, 4H Coordinator (for Union County 4-H) presented the following certificate to TUMGA at our May 14, 2015 meeting in recognition and thanks for continued support and donations. Timothy announced our donation allowed a young man to go to 4-H Camp. All the members of TUMGA would like to wish Henry and Jane Coleman best wishes in their marriage November 22, 2014. Henry is our Co-President Jo Anne Allen’s daddy and a member of TUMGA.